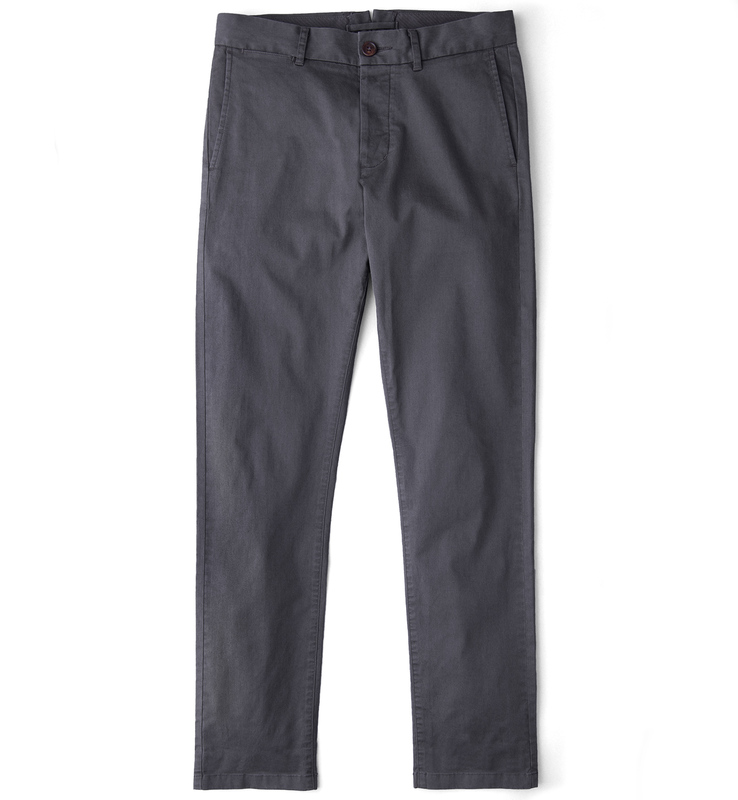 The essential everyday chino. Cut using a premium stretch cotton twill from the renowned 120-year-old Italian mill Di Sondrio and constructed with thoughtful detailing. 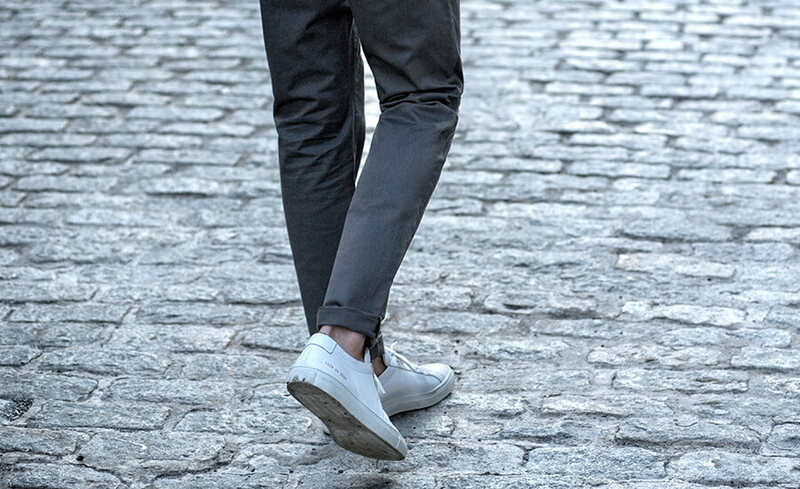 The Bowery Chino combines a timeless chino design with luxurious tailoring details like covered french seams, shanked horn buttons, and button fly. 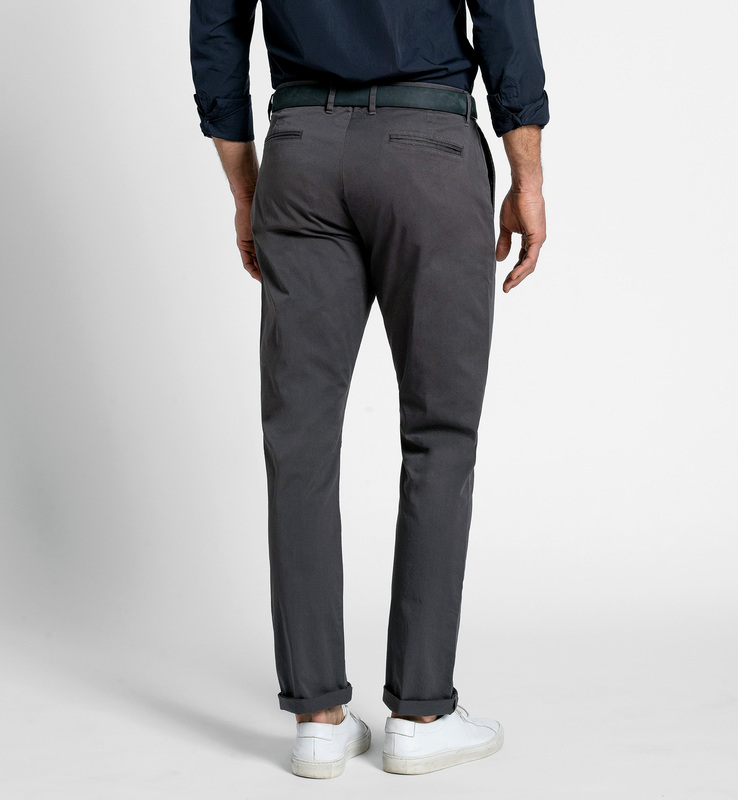 The split back waistband that increases comfort while leaving them easy to alter. 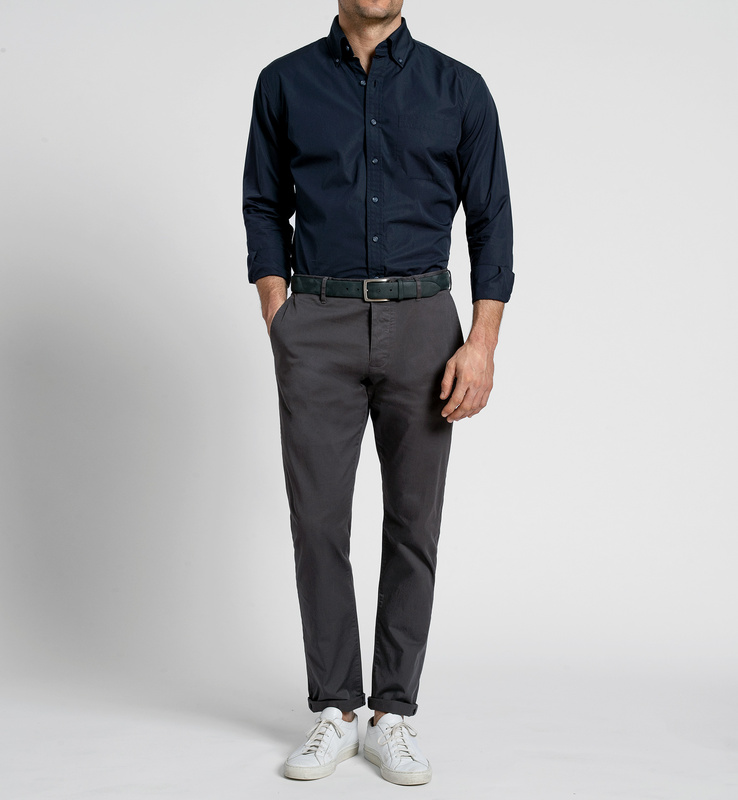 The 98% Cotton 2% Elastane twill fabric combines a great natural feel with comfortable stretch. Bowery Chinos have a medium rise and flattering slim fit that's modern yet easy to wear. This increases comfort around the waist while leaving the pants easy to alter. 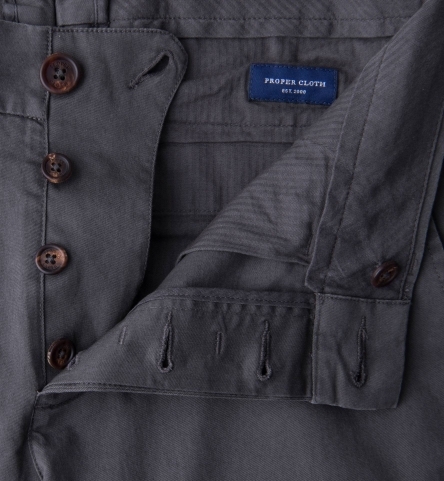 Made with a sartorial button fly that features shanked horn buttons. 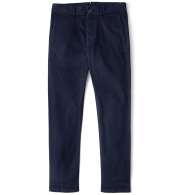 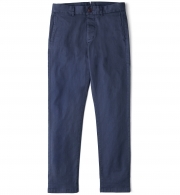 Cut using a premium stretch cotton twill from the renowned 120-year-old Italian mill Di Sondrio. 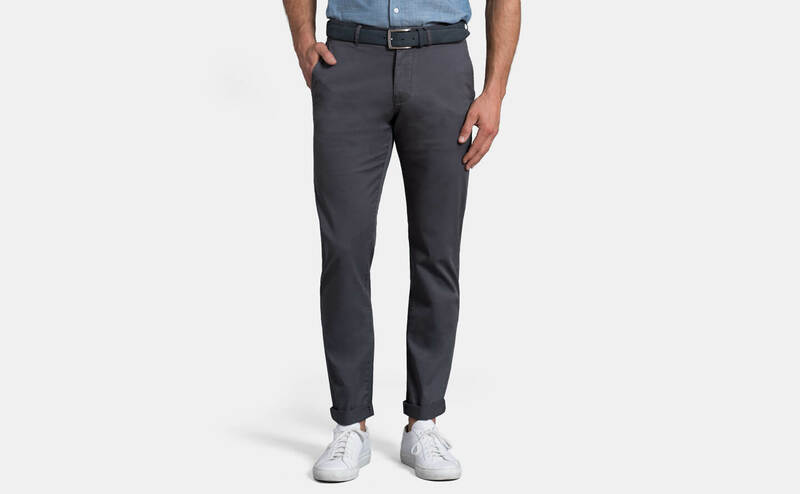 The texture is subtle and the 2% stretch makes these chinos remarkably comfortable to wear. 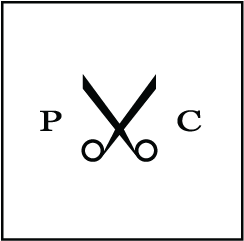 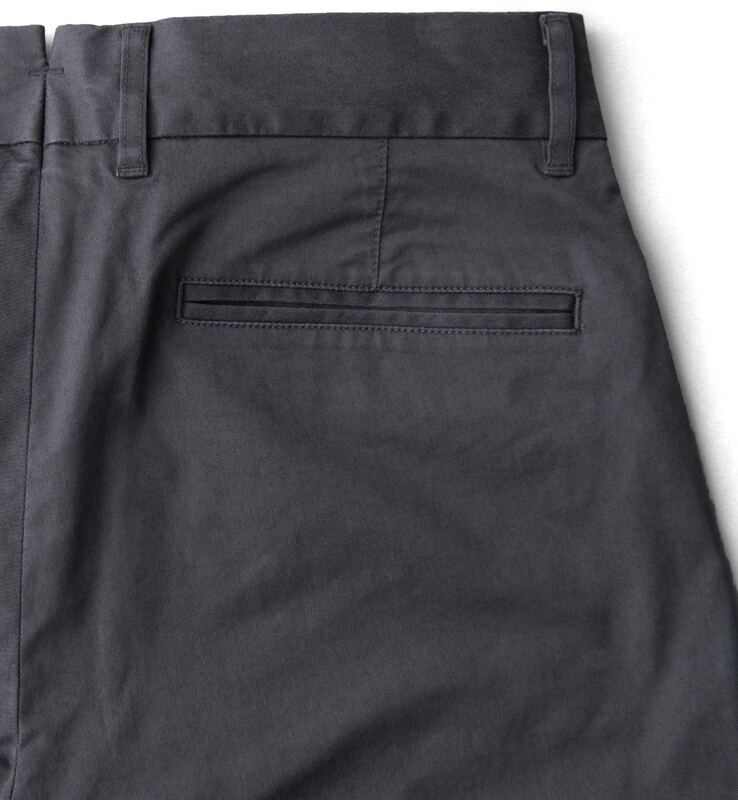 Only the best trims--from real horn buttons to durable cotton pocketing--made the cut for our first pant. 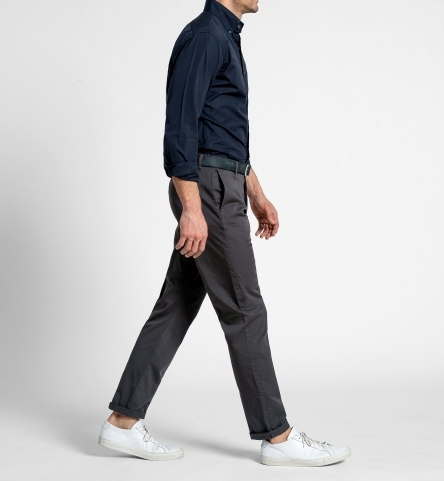 We took premium details like a split back waistband and a button fly traditionally seen in tailored clothing and brought them to our Bowery Chino.